Gospel mix master Sammy Muraya alias DJ Mo has finally spoken up about rumours swirling around that he has been unfaithful to his wife, Size 8 Reborn. 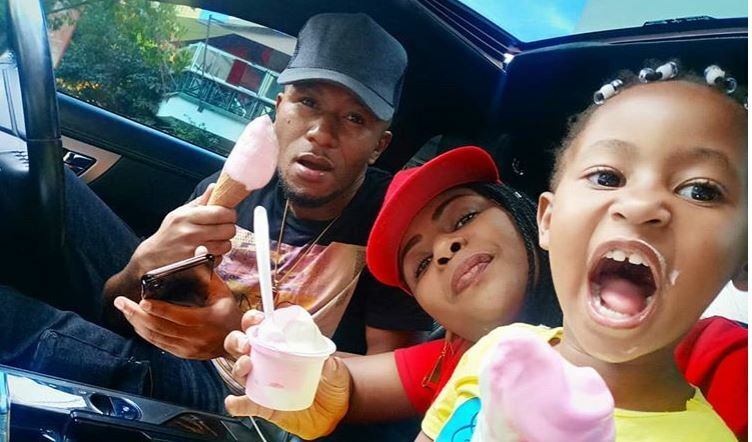 DJ Mo notes that they are still strong in marriage and those who spread the lies about him have failed in trying to bring the gospel couple down. “Everyone is entitled to their opinions. So, kama hatuja achana (We have not split) someone should be ashamed [for spreading such rumours]. Let me tell you something, don’t believe in rumours. If we are still strong they know that…by the way hatuachani (we are not separating),” said Mo. The father of one also opened up about losing their unborn baby saying it was the lowest moment for him. “It was a sad moment,” said Mo. The DJ further spared some words of advice for young couples looking to settle down. He was speaking during the 8th annual celebrations of Malaika Tribute awards held at the Laico Regency.